Taking inspiration from the nasal helm of the 12th century, the Undead Helmet belongs to a devoted soldier of the Bone Queen. Enter the ConQuest battleground as a member of the Undead Flesh with this officially licensed helmet. Conquest is the biggest LARP gathering in Europe. 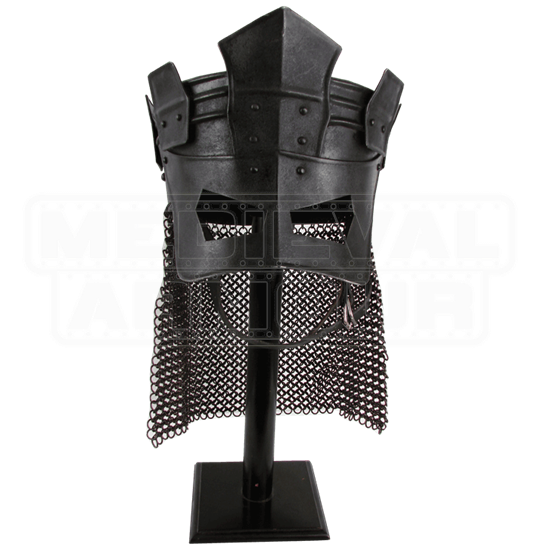 Crafted from 19 gauge galvanized mild steel, this helmet possesses a dark metal finish that is resistant to rust and scratches. A inner lining of foam padding creates a more comfortable fit, while an adjustable chin strap holds the helmet in place. 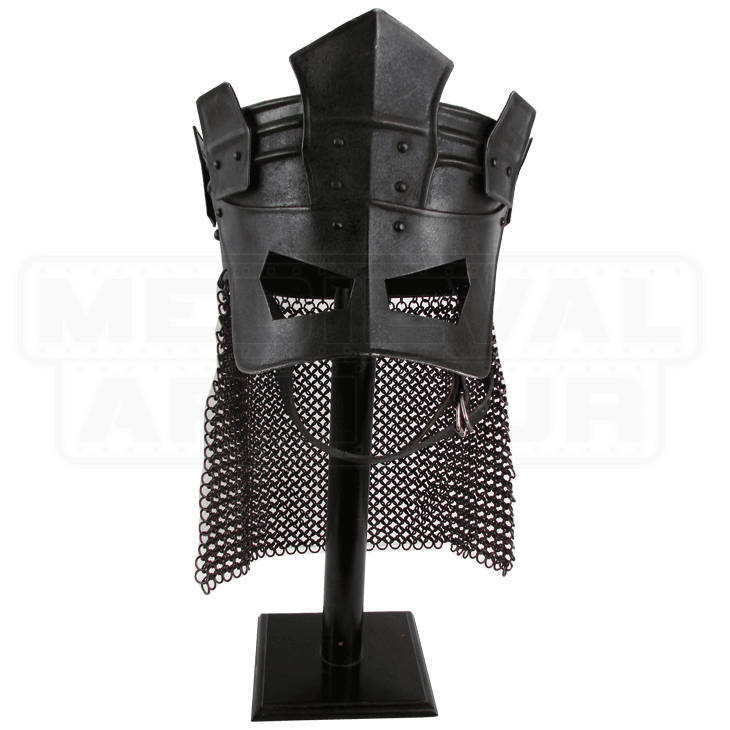 An aventail of chainmail provides protection to the back of the head and neck. Please be aware that these items are handmade. Slight deviations in pattern, color, and shape may occur. The leather straps can be black or brown. This is an awesome helm, i bought the large and used some memory foam to fit it perfectly and it fits with my glasses on. I had a friend hit me as hard as he could with an Amtgard legal weapon and hardly even felt it. Your helm has protected you through many a battle, and now that you have returned home, you wish to treat your helm with the respect it deserves. 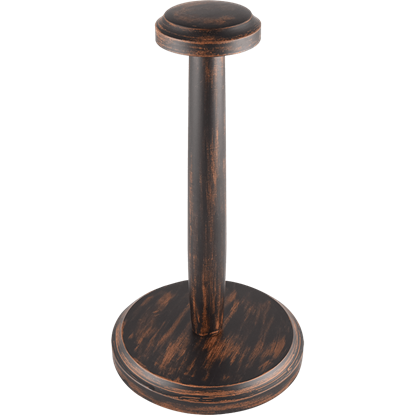 The Walnut Finish Helmet Stand is just what you need to proudly put it on display.